Package our solar panel mounts with a solar panel, battery, and assembly for a complete system! Take the guesswork out of your solar system design – we can engineer, build, and integrate a complete system to meet your solar needs. 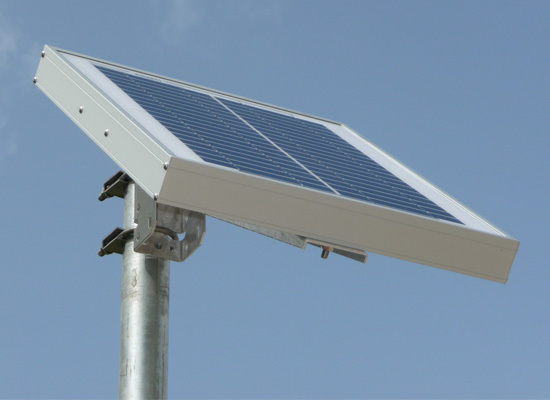 Our solar panel mounts attach to the side of a pole providing a sound, sturdy, and dependable mounting foundation. Mounts can be attached using our standard u-bolts (not included).